The Ipe Help Team shares a lot of general information that is open to public view, but we save our most specific and up to date knowledge for our paid members who support our ability to operate this site. We thank you all for being a part of this group. 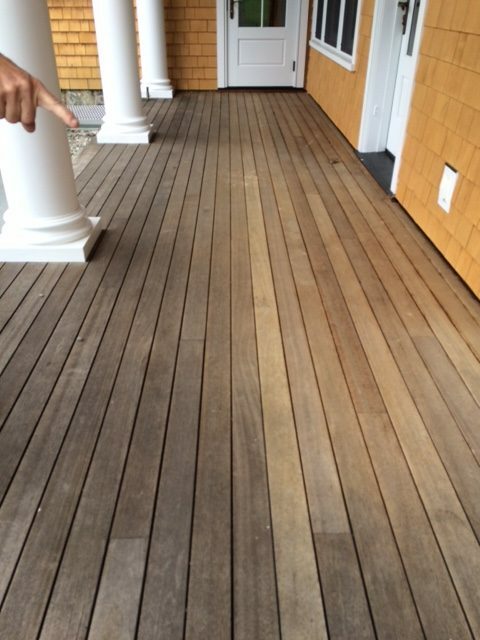 Even under a porch entry, ipe decks get weathered. With today’s installment, I wanted to put out some thoughts based on what we have been observing so far this season in our ipe deck maintenance program. If you didn’t know, our wood finishing company (802paint.com) is located in Vermont, which is in the Northeast. Note: This post can only be seen by paid members.